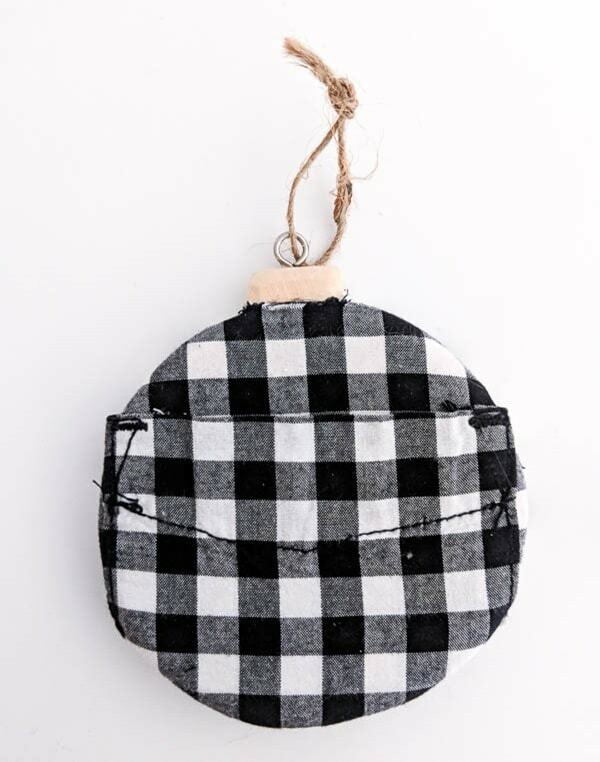 Buffalo Plaid Christmas Ornaments with a Twist - Lovely Etc. Every year I can’t wait to make a few handmade Christmas ornaments to add to our tree. 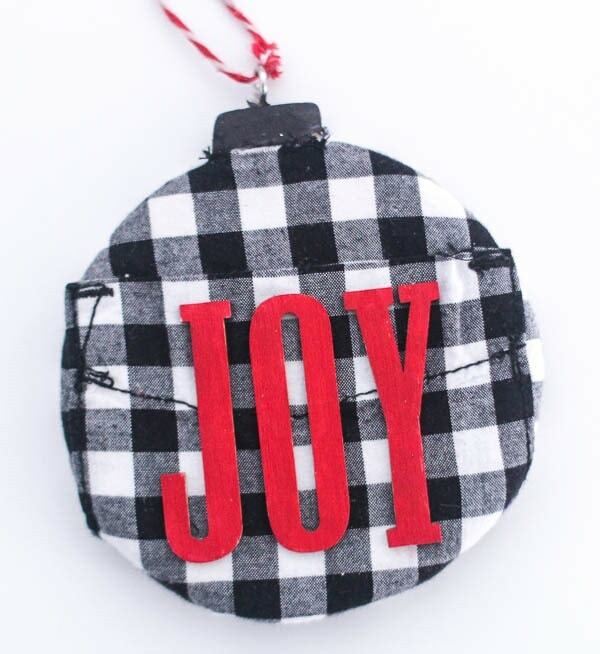 This year I’m starting things off with a super cute buffalo plaid ornament with a fun twist – it has a pocket! 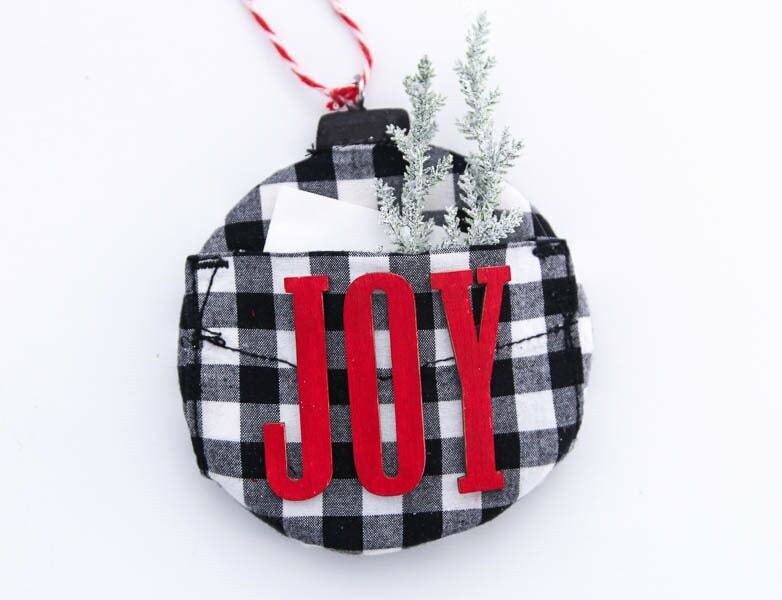 This cute little upcycled Christmas ornament has a tiny pocket on the front that’s the perfect size for tucking in a mini candy cane, a note to Santa, or a small gift. Plus it makes an absolutely charming gift card holder. 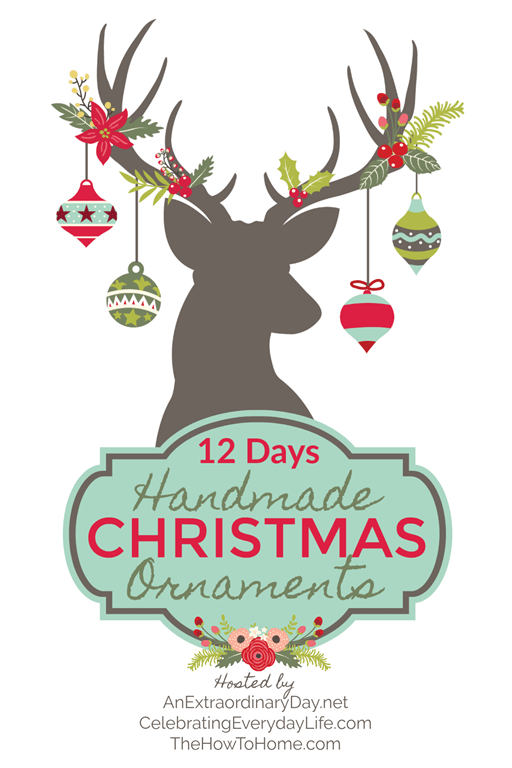 And I’m thrilled to be participating in the fourth annual Handmade Christmas Ornaments Blog Hop hosted by An Extraordinary Day, The How to Home, and Celebrating Everyday Life. Every year I am blown away by the adorable, creative ornaments shared and this year is no different. You can see everyone’s fabulous ornament ideas at the bottom of this post. 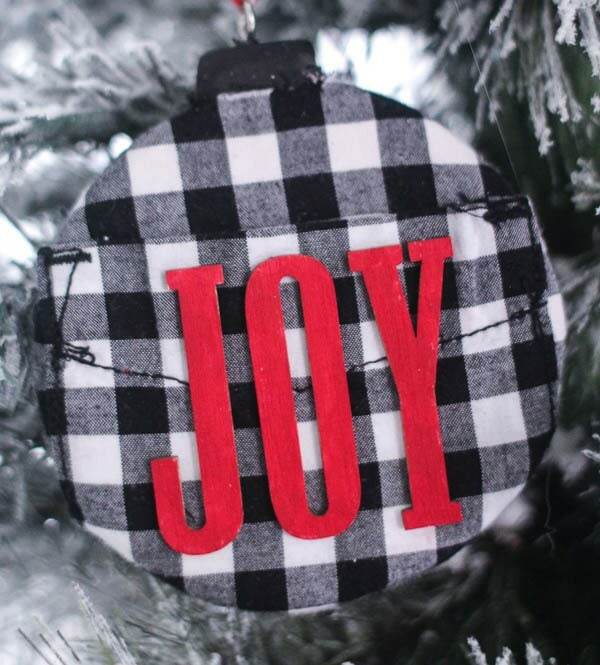 My own little ornament began when I repurposed part of a little plaid shirt for another DIY project. I had plenty of the shirt left over and I knew I could figure out a creative way to use it all. When I saw the cute little pocket on the front, a lightbulb went off. I knew it would make a fun ornament. 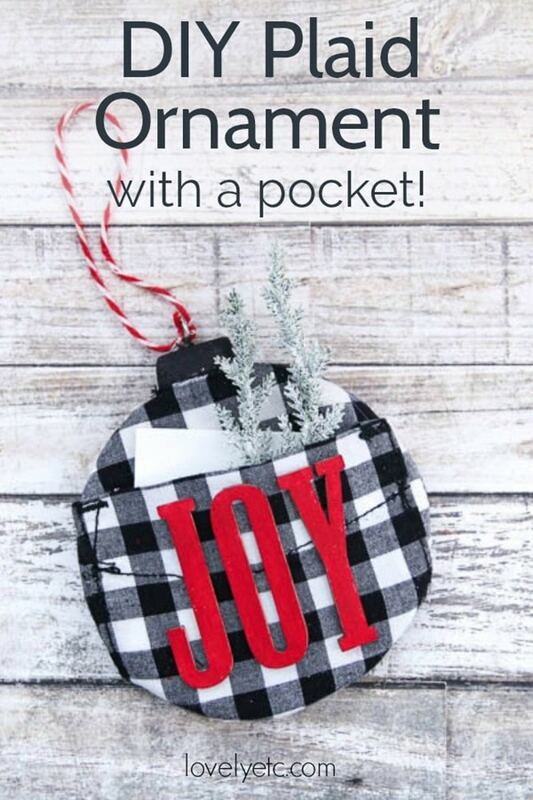 I mean pretty much everything is better with pockets, why not ornaments too! This ornament is really simple to make. It only requires a few supplies and takes less than ten minutes. And best of all (for me anyway), no sewing! I know it’s early for Christmas crafting, but what can I say. Seeing everyone’s handmade ornaments is really getting me excited about Christmas. My boys will be 1, 3, and 6 this Christmas and there is just nothing like the joy of little children at Christmas time. Ready to see just how easy this ornament is? This ornament really is incredibly simple to make. If you’re having trouble finding a good plaid shirt to use, try hitting up a kids’ consignment store. The ones near me are packed with little plaid shirts this time of year and they are only a few dollars each. Cut around the pocket and figure out exactly how you want to place it on the ornament. Trim off the excess fabric, leaving about an inch border around the ornament. Wrap the fabric around the ornament, attaching it to the back with your hot glue gun. When you get to the top of the ornament, you can cut off the fabric around the ornament ‘hanger.’ I used a black Sharpie oil based paint marker to color the top of my ornament but you could also use paint if you prefer. The back will probably look pretty messy with the glued edges. 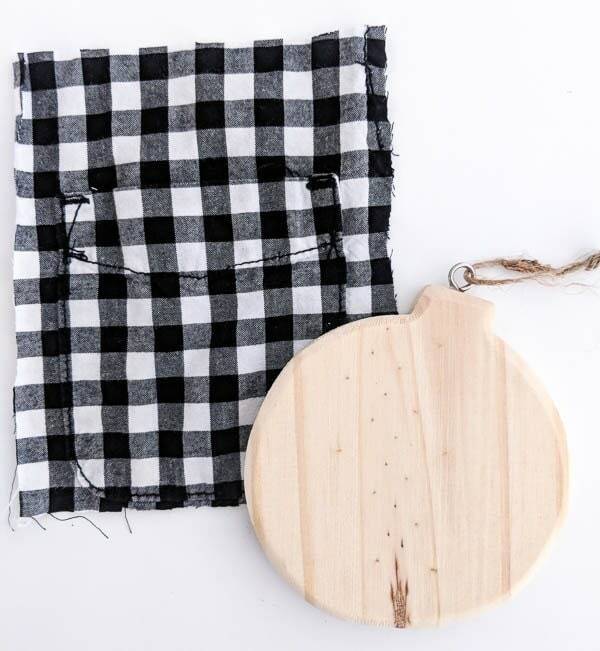 An easy way to fix that is to cut a circle of leftover plaid fabric and carefully glue it over all of the messy edges. 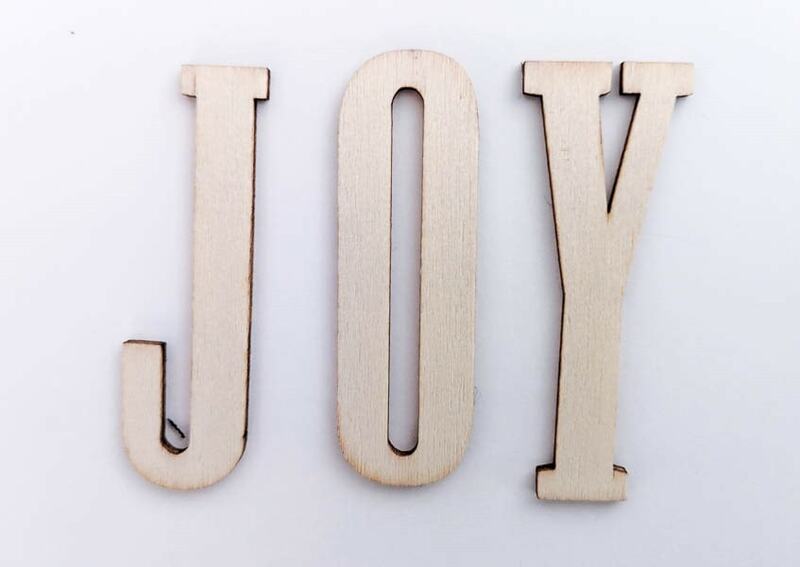 To decorate my pocket, I added the word joy. I painted some small wood letters red and then attached them to the front of the pocket. Lastly, I replaced the rustic twine that came with my ornament shape with baker’s twine. Not only is this a fun ornament, I also think it would make a fantastic gift card holder. I’m always looking for creative ways to give gift cards that are a bit more creative and heart-felt than a plain envelope. This sweet ornament would be the perfect thing. I’d love for you to pin this project on Pinterest! 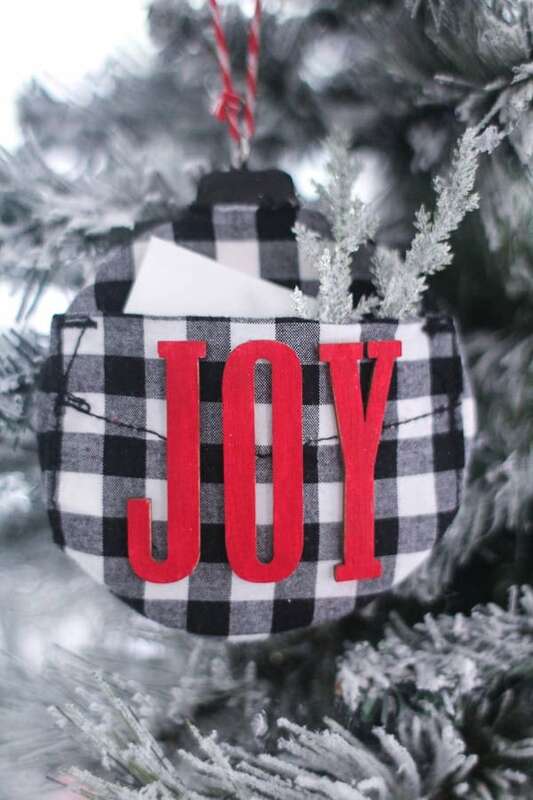 Ready to see a few more crazy good handmade ornament ideas? Just click the links below for plenty of inspiration. And if you’d like to see my other handmade ornament ideas, you can check them all out right here. This is adorable! I love that it can be given as a gift with s gift card and then used on the tree as an ornament. You are so creative! Your ornament is so cute, Carrie! The moment I saw the pocket I thought of a gift card holder. You are so clever! Everything is better with pockets! How adorable is this ornament. I love the idea of tucking a note to Santa inside the pocket. Too sweet! Oh my goodness! It looks so so cute! 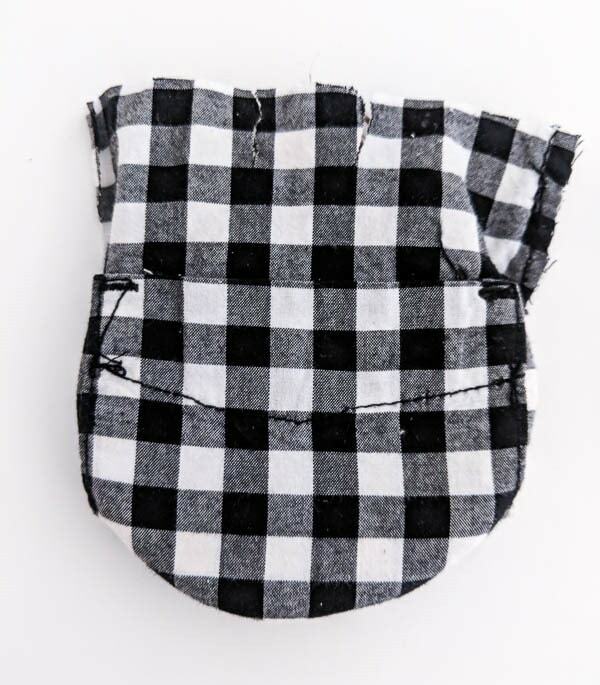 Using a plaid shirt pocket is so clever and looks so cute! Love how it looks with the frosted tree. Loev your ornament! Carrie, these are just the cutest. 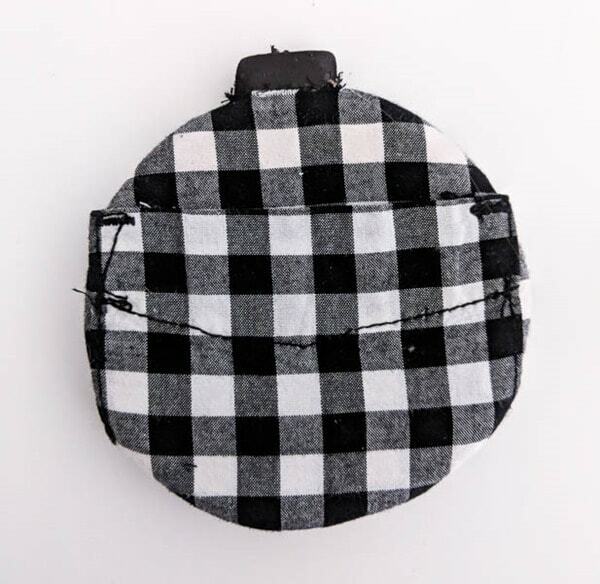 Loving how you were able to incorporate that pocket into the design to make them super functional, too. I love buffalo check!! And I love that this ornament has a pocket! Just discovered your webpage. Love your ideas- thanks so much for sharing your talents. 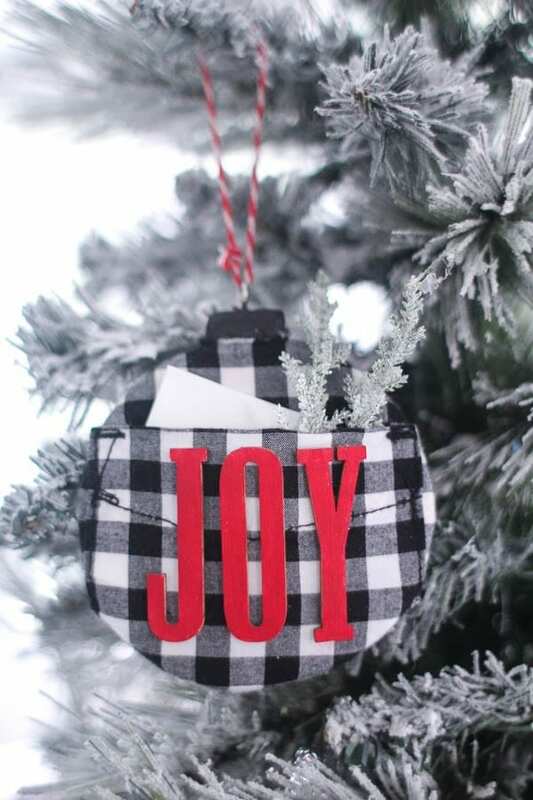 I especially fell in love with your buffalo check JOY ornament- it is so cute!!!!! Please let me know if you have other ornament ideas on your page. I haven’t had a chance to explore it all yet, but I will. Thank you Lora! I have lots of other ornament ideas right here – https://www.lovelyetc.com/category/ornaments/ and I am hoping to make more this week! Carrie, I love your ornament, specially the gift card holder idea and of course the plaid! The perfect gift for my kids teenager friends. I love this idea! The pocket makes it! Sign up for my free newsletter and receive these gift tags along with a whole library of free printables!